We have so much to tell you about the voice behind those words of Lizdom. This post centers on the bio, husband (if any) and other facts to know about Liz Dueweke. Liz “Mean” Dueweke was born on November 3, 1984. She hails from Yuma in the Metro-Detroit area. Liz attended Oakland University where she graduated in May of 2006 with a Bachelors of Arts in Journalism. While attending college, Liz worked as an intern at Fox 2, WJBK and Hour Detroit Magazine. It may surprise you that we didn’t start out telling you about her early education and childhood. That’s because Liz Dueweke has also mastered the art of keeping her personal records off the media’s eye. What we do know is that Liz Dueweke studied Theatre and General Studies at Michigan State University. She also obtained a degree in Broadcast Journalism from Oakland University, as previously mentioned. While studying at Oakland, Liz was a member of the school’s publication team and other on-campus groups and societies. Although not much is known about her early childhood, parents or siblings, we’re aware that her mother and father, who had been married for about five decades, passed away in 2014 and 2016 respectively. Her father was 74 at the time of his passing. Liz Dueweke’s media career dates back to her days as a student. Back in 2005, she interned at Fox 2 WJBK in Southfield, Michigan. Within that time, she also worked as a writer and reporter for the Real Detroit Weekly, until she left in 2007. That year, she headed for Yuma, Arizona, to pick up a job at KYMA; a media organization run by Sunbelt Communications. In the two years that followed, Liz’s job description at KYMA ranged from Weather Presenter, News anchor, producer, reporter, web editor, and general content editor. However, in 2009, Liz relocated to Flint, Michigan, to join WRJT, where she worked as a weekend news anchor. A year later in 2010, Liz Dueweke made another move to Oklahoma City to work as an online/on-air radio host at “TheSpyFM” radio. Coupled with her job at TheSpyFM, Liz worked as a social media content creator and a morning news anchor for KOKH. From KOKH, Liz moved to her current location in Seattle. At Seattle, she initially worked as a midday reporter and morning news anchor at KOMO-4 TV. A year later, Liz took up a job as multimedia content creator at KCPQ-TV Q13 FOX. 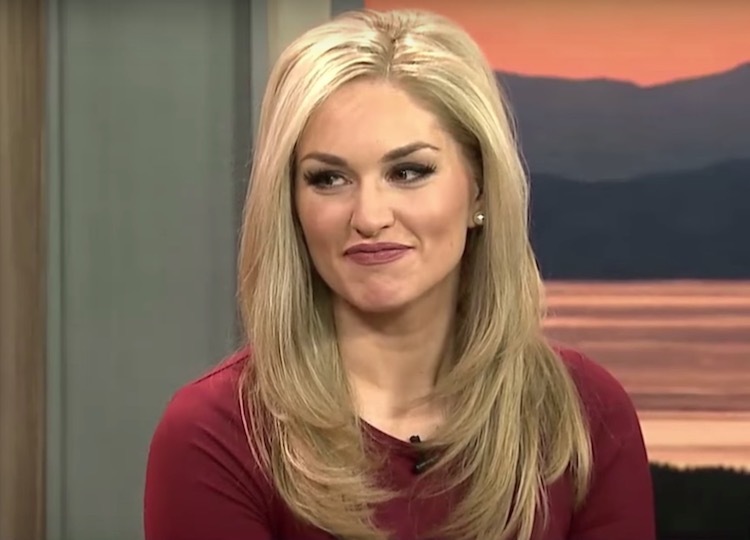 Liz Dueweke presently works as the main anchor for KCPQ-TV’s morning news show. Prior to her current role, she has also worked in the roles of social media content creator and expert communicator. In February of 2013, Liz announced that she was engaged to KFOR’s Adam Mertz; a former TV reporter. The announcement also came with a move to her new work base, Seattle, Washington. There are speculations that Liz and her new lover had eloped to Seattle. In the “About Me” section of her website, Liz writes that she wakes up at 2 AM every morning, Monday through Friday while her ‘husband’ wakes up at 1:30 AM, too. That goes to say that Liz Dueweke is indeed married, although we don’t know for sure how many children the couple both have today. Liz Dueweke’s main hobbies are painting, listening to music, working out, and hanging out with close friends and family. Liz owns two Pomeranians she christened Wolfe and Diggy. On her official website, she can be seen standing by the seashore, clutching one of her lovely dogs. The two dogs both have an Instagram account titled “ThePomPack” which has quite a huge following. Liz Dueweke is a huge fan of basketball. She’s a huge fan of the Phoenix Suns in particular and her favorite player on the team is Shawn Marion. 4. Height and Body Stats. Although not much s known about Liz Dueweke’s body measurements, we do know that she stands 1.86 meters tall and has beautiful brown eyes as well as Blonde hair.